Apply just a couple of drops of this vegan healthy scalp treatment to get your hair and scalp back in order. An essential oil blend of lemongrass, fennel and peppermint tackle out-of-whack scalps and release an invigorating scent. The scalp oil is suitable for all hair types and can be used overnight. This leave-in scalp treatment does exactly what it promises: It restores the scalp's microbiome with a hyaluronic acid-rich formula to kick itchiness, flakes and general scalp irritation to the curb. Massage the product on clean, damp hair and let it work its magic. A healthy scalp (and life) is all about balance. This shampoo takes care of dryness with its organic oat and mustard seed formula. Just a dime-size amount will calm scalp irritation and promote a gorgeous mane. And it doesn't contain silicone, SLS, SLES, perfume, color, petrochemicals or parabens — all of which are potentially irritating to dry scalps. There's a mask for almost every body part, including the scalp. 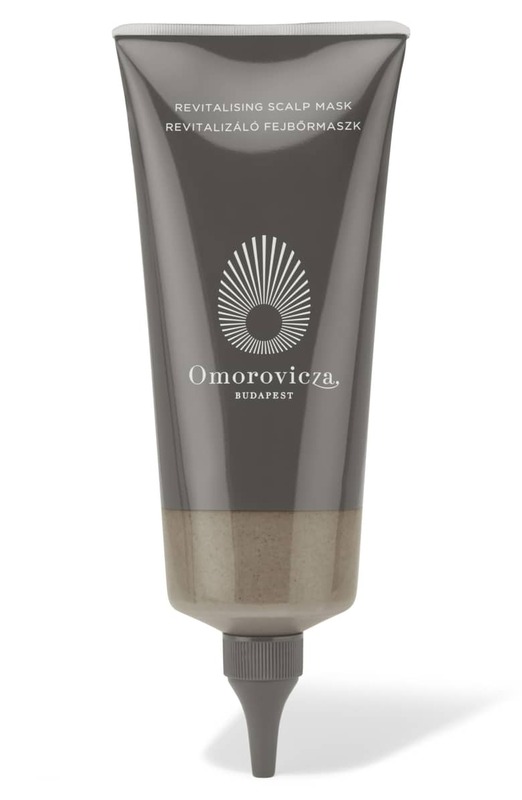 This luxurious version utilizes Omorovicza's Hungarian moor mud to detoxify plus menthol and camphor to provide relief from irritating itchiness. The pre-shampoo treatment restores the scalp and leaves hair noticeably softer. One of our favorite skin care ingredients, salicylic acid, makes a surprise appearance in this nourishing shampoo. The ingredient helps dislodge flakes from the scalp so wheat protein can strengthen hair. The formula also reduces uncomfortable tightness and irritation. Those with dyed strands don't have to worry — it's suitable for color-treated hair. A scalp scrub can be a game changer, but the wrong one can make dryness worse. This gentle exfoliator has a sugar complex that ensures the scalp retains moisture as buildup is swept away. The soothing formula is gentle enough that it can be used on sensitive scalps once per week. A toner for somewhere besides the face? Yup. After shampooing, apply the water-based toner to lightly towel-dried hair. The multitasking formula is mildly astringent to fight off bacteria and manage excess oil. It also increases blood circulation and rehydrates. Get good scalp and hair days with this balancing treatment. Divide hair into sections, then apply a couple of drops of the argan oil product. Massage the treatment into the scalp and leave on for 5 to 10 minutes so it can moisturize strands from top to bottom. Is a dry, flaky scalp impacting your life? Soothe it with a multistep approach. Nioxin's three-step scalp recovery kit has shampoo, conditioner and a soothing serum. Each one has pyrithione zinc and green tea polyphenols to get that angry scalp under control. Say goodbye to flakes and dryness. Is that dry, itchy scalp driving you bonkers? Relief is on the way in 20-ish minutes with this treatment. Salicylic acid (formed naturally from meadowsweet), coconut oil and calming lavender help remove buildup and quell the compulsive desire to scratch. The post 10 Soothing Products That Work Magic on a Dry, Itchy Scalp appeared first on theFashionSpot.